Farron Hicks and Krista Lowe are two friends with a passion for connecting like-minded wimmin. 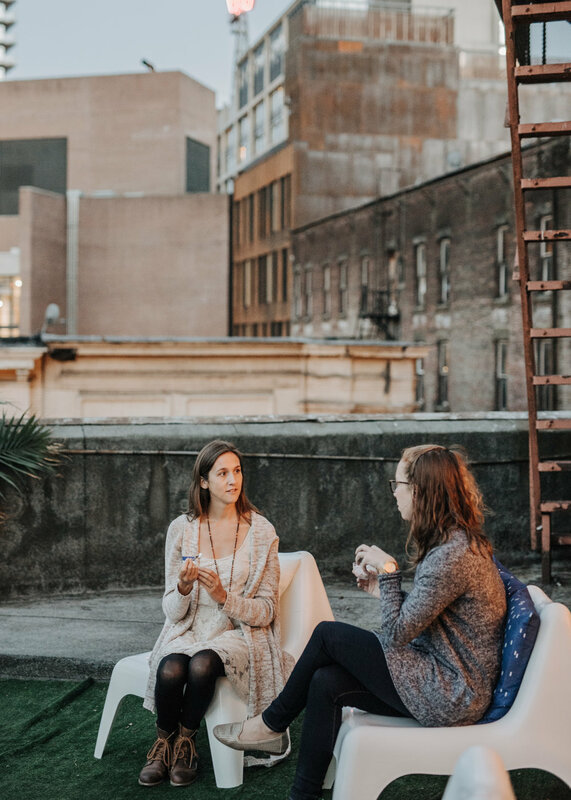 The Wimmin Collective's mission is to bring working wimmin together to build solid relationships and connect on a deeper level. Tell readers more about the origins of Wimmin Collective and what's behind the name. What inspired you to create this community for women? 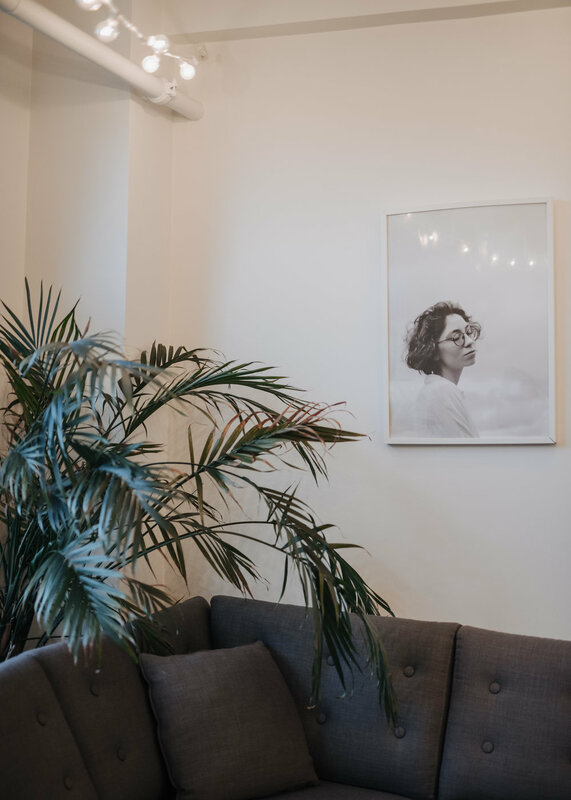 We created the Wimmin Collective because we wanted to create a space that welcomed deeper conversations so working women could connect, learn from each other, and celebrate wins along the way. We host themed curated events in Vancouver that are held in interesting venues around the city and try to keep the limit to 25 people or less so everyone gets a chance to meet each other. Our mission is to connect, celebrate, and guide working wimmin to feel fulfilled, balanced, and supported. Our first event’s topic was based on “Fear of Failure” that was led by Hiroko Demichelis and the second event was about “Tuning Inwards and Moving Forward with Intention”, which was led by Elim Chu. Both speakers sparked real conversations about their journeys of entrepreneurship and allowed our attendees to talk about their own stories in a supportive environment. We also feature health conscious products from local companies because health and wellness are one of the pillars of our foundation. When we were roommates we often spoke about how we wanted to meet more like-minded women in Vancouver to build a more diversified support system. We would spend a few nights a week brainstorming how we could build an experience in Vancouver that would allow deeper conversations beyond “what do you do?”. Being inspired by how others are navigating their careers and purpose, we wanted to create an environment where people walk away feeling inspired, like they made solid connections, and dug beyond surface-level conversations. We wanted to create a community that shared our accomplishments and supported vulnerable conversations about obstacles that came up along the way. Like a lot of new companies these days, our name came out of searching for an available domain on Go Daddy. We knew we wanted “women” in our name and something that reflected “community”, so when we found “wimmin.co” was available we knew it was a fit for us. What are the most important lessons you've learned while growing the company and brand? When we were in our early brainstorming phase, we sat down with Kendra Murphy (Sally Jane Studio) who helped us create the brand we have today. This is where we learned the importance of reaching out and asking for help when it’s needed because branding is neither of our strong suits. We knew we needed a strong brand identity right from the beginning, but we wanted help from an expert to turn our vision into something more tangible. A couple mood boards, dreaming up visions, and late nights at local coffee shops later, the Wimmin Collective was created. What are the challenges of running a community focused on women in today's political/social climate? What advice would you give to those who want to emulate Wimmin Collective's mission. We often get asked why we created the Wimmin Collective and why it’s only geared towards those who identify as women and not to men too. Women’s only social groups aren’t a new concept, they’ve been around for well over hundreds of years, but we still get asked why women need a female oriented networking group in this day and age, quite often. During our events, we want our attendees to feel at ease and supported, not like they’re being judged or that they’re in competition with one another. 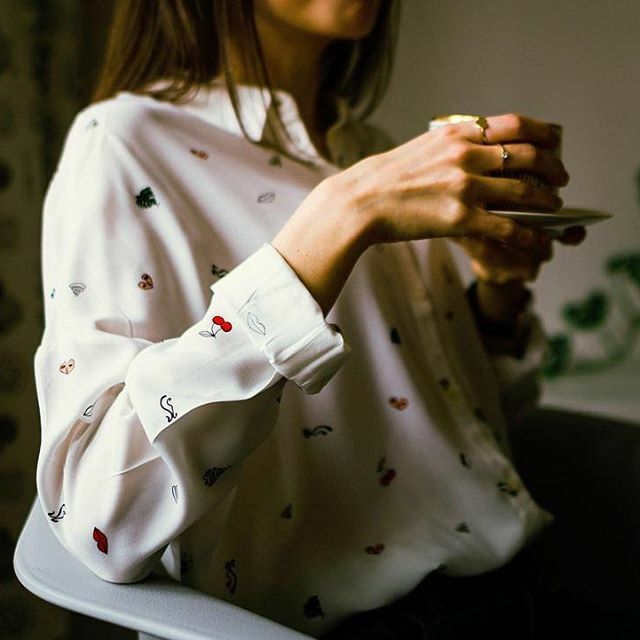 We feel best equipped to create a supportive environment by gearing it towards women, so our attendees feel comfortable opening up and having deeper conversations beyond a surface-level. We feel that the recent climate has sparked conversation and awareness about the importance of people supporting each other. The last year or so has felt heavy at times, both positively and negatively with so many stories in the media, politics, and business about experiences that women have gone through. These stories affect everyone but can feel particularly overwhelming for women. As for advice, we would like to say: celebrate your peers when they are excited and passionate about what they do, but also listen when they need to chat about their struggles, fears, and road blocks. It can feel daunting to take on the world in a silo with a limited support system, so connect with others who share your values or ideas. Building a support system that wants to help you succeed and who understands why you are doing what you do is crucial for achieving success. What’s next for Wimmin Collective? We recently re-launched our website and we’re heading into 2018 with a new focus. We’re excited to expand beyond hosting events as we grow our online presence to be a location independent resource for women outside of Vancouver.